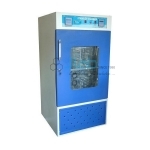 Environmental Growth Chamber India, Environmental Growth Chamber Manufacturer, Environmental Growth Chamber Suppliers & Environmental Growth Chamber Exporters in India. 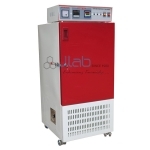 JLab is renowned Exporters & Manufacturers of Environmental Growth Chamber & Scientific Lab Instruments India, Environmental Growth Chamber Exporters, Environmental Growth Chamber Suppliers India. Suitable for carrying out different quality control tests under controlled conditions of temperature and humidity. 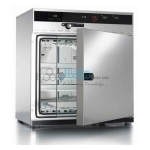 Carbon Di-Oxide Incubator suitable of carrying out different quality control tests under controlled conditions of temperature and humidity. Environmental Stability Chamber designed as per ICH Guidelines and to comply requirements of GMP for carrying out various stability and shelf life tests on Pharma, Bulk Drugs, Drug Substances, Biomedical, Healthcare, Food Products, Biotech etc.